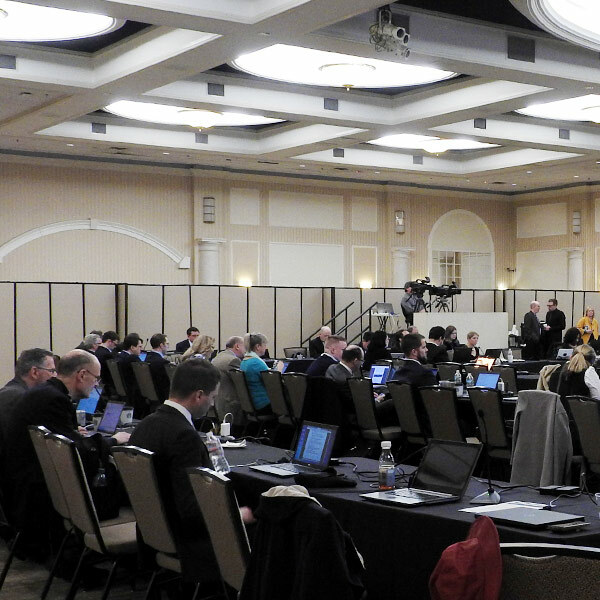 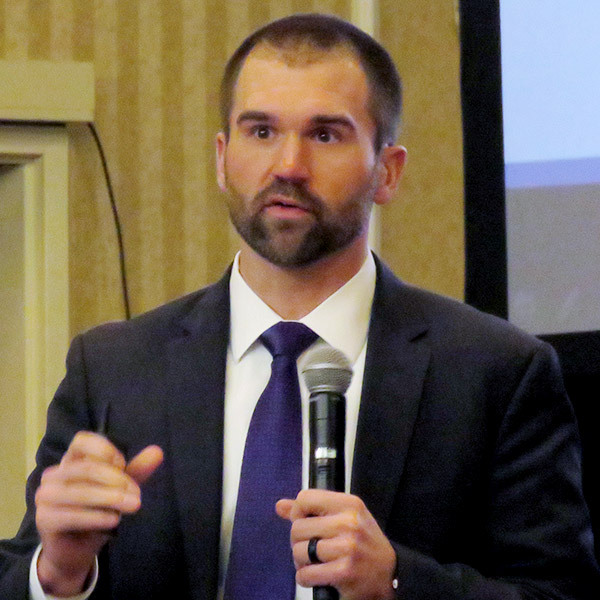 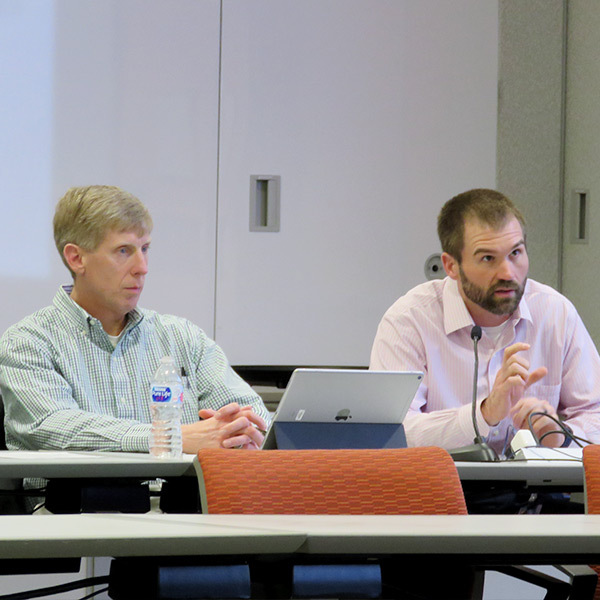 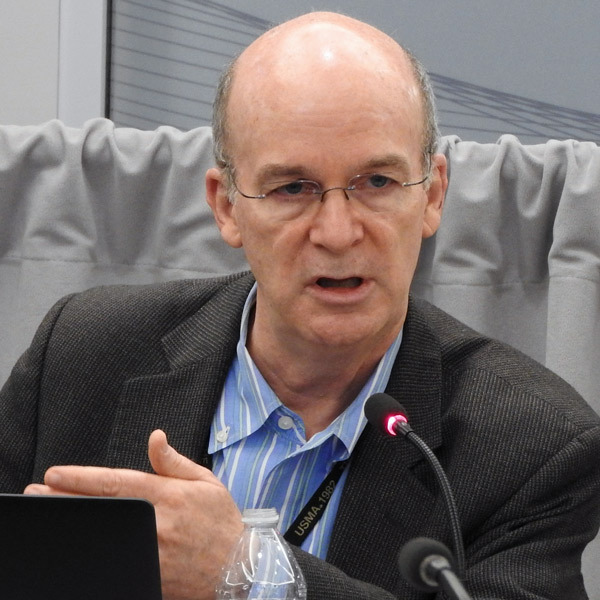 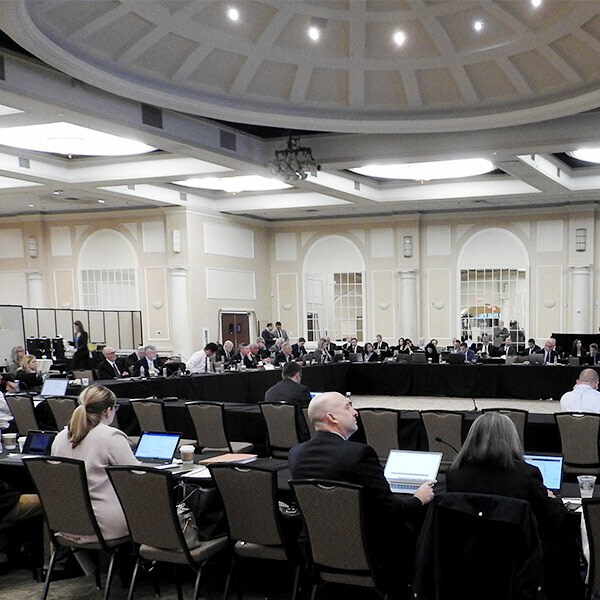 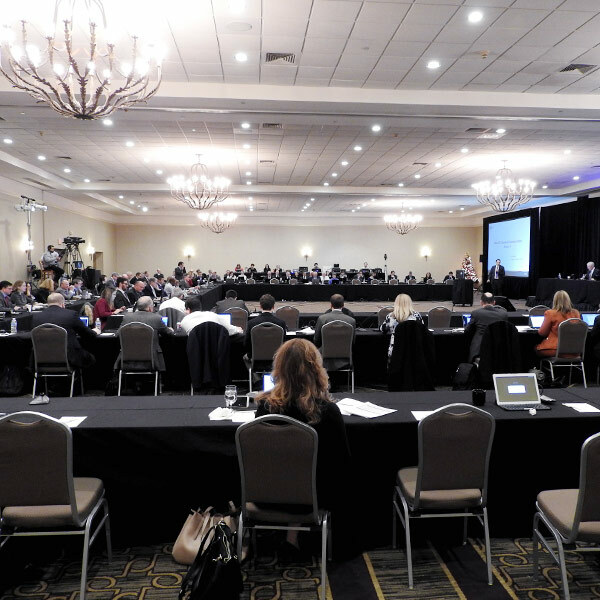 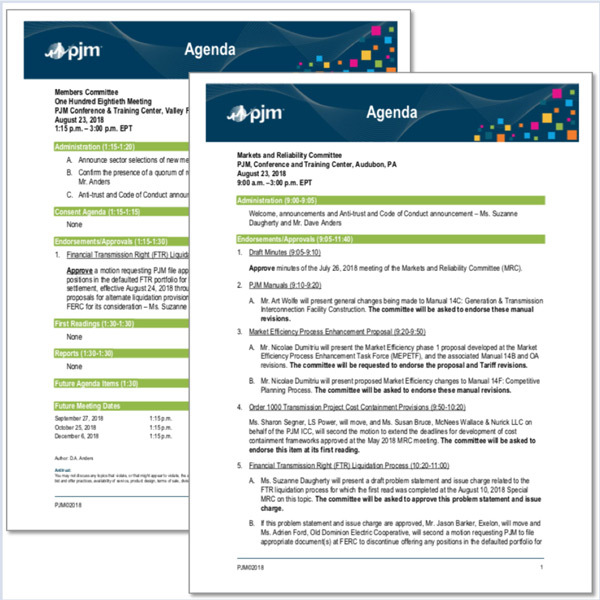 A summary of the issues scheduled to be brought to a vote at the PJM Markets and Reliability and Members committees on Jan. 24, 2019. 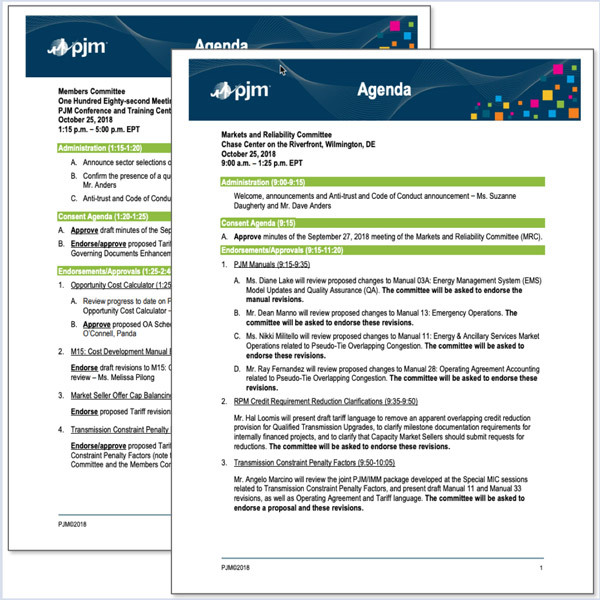 A summary of the issues scheduled to be brought to a vote at the PJM Markets and Reliability and Members committees on Dec. 6, 2018. 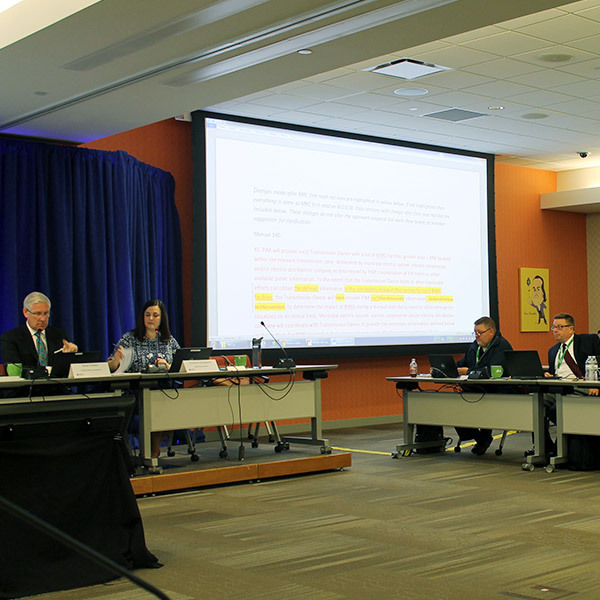 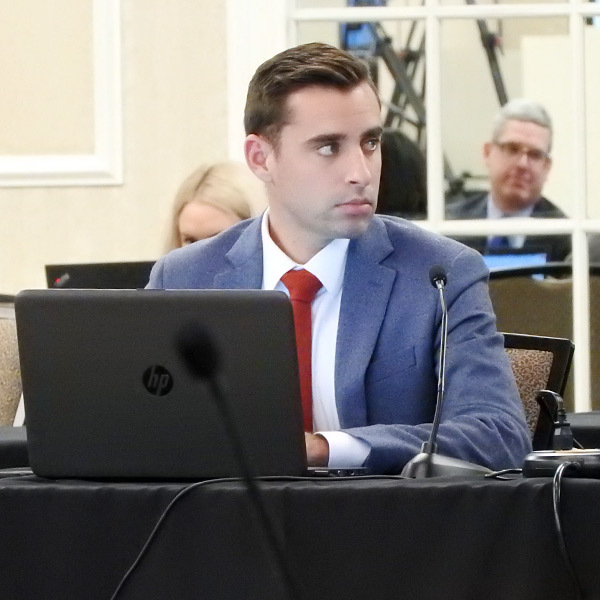 A summary of the issues scheduled to be brought to a vote at the Markets and Reliability and Members committees on Oct. 25, 2018. 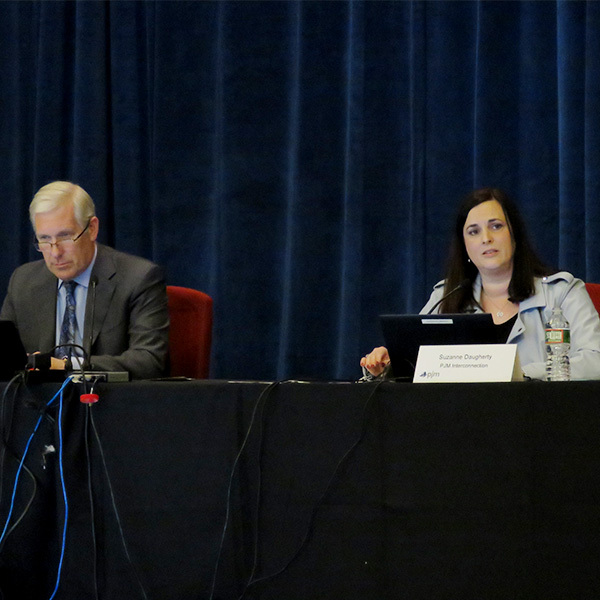 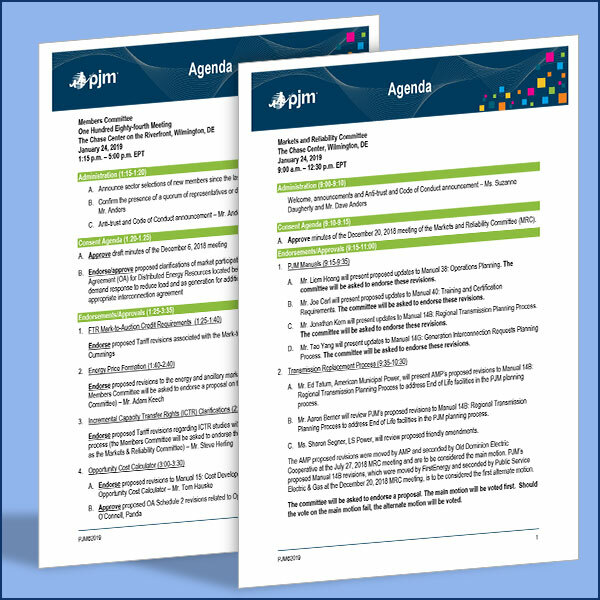 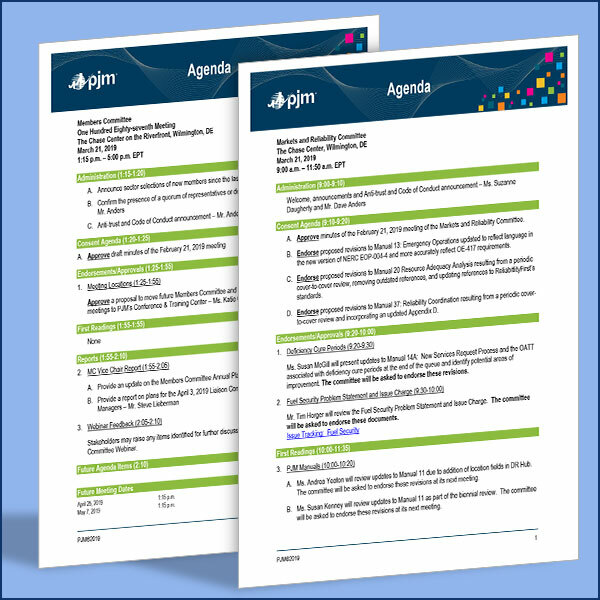 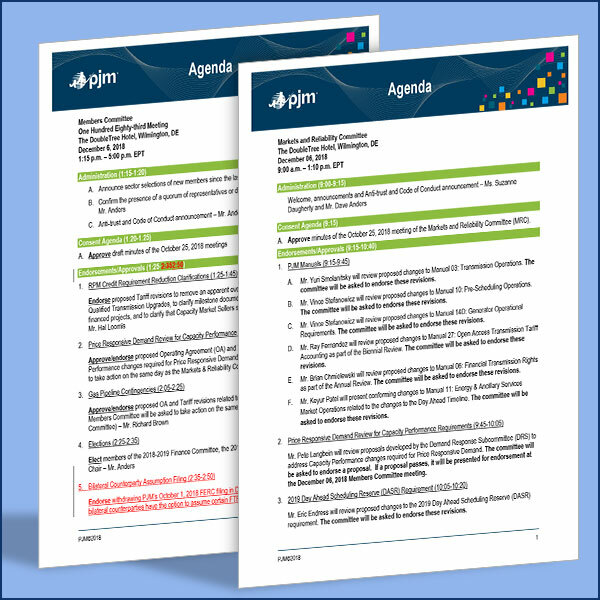 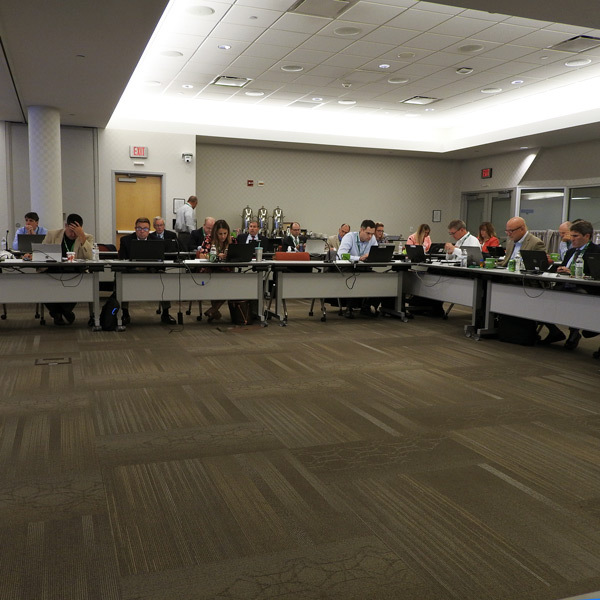 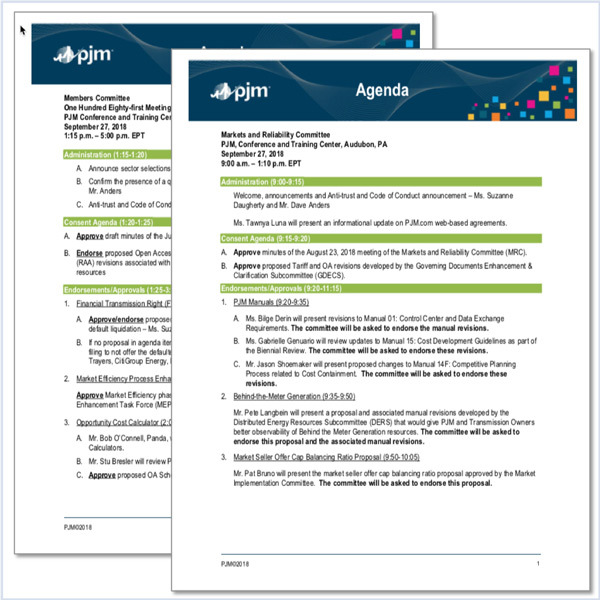 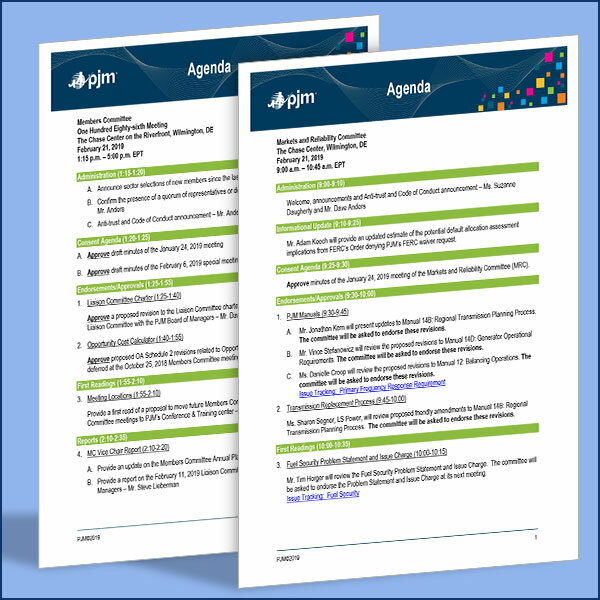 A summary of the issues scheduled to be brought to a vote at the PJM Markets and Reliability and Members committees on Sept. 27, 2018. 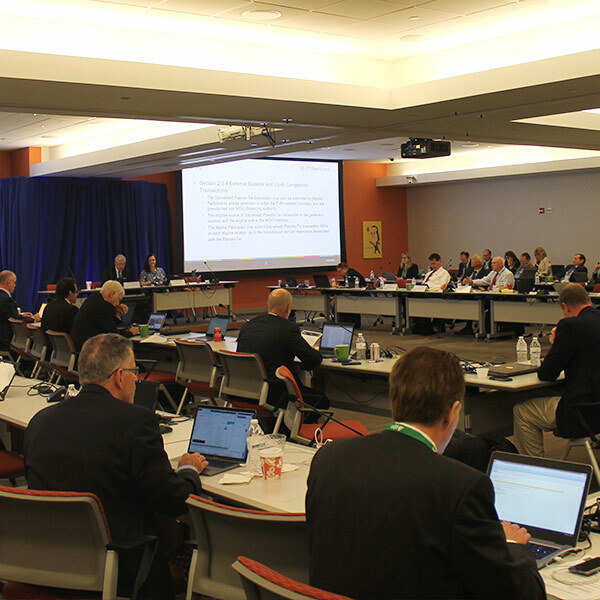 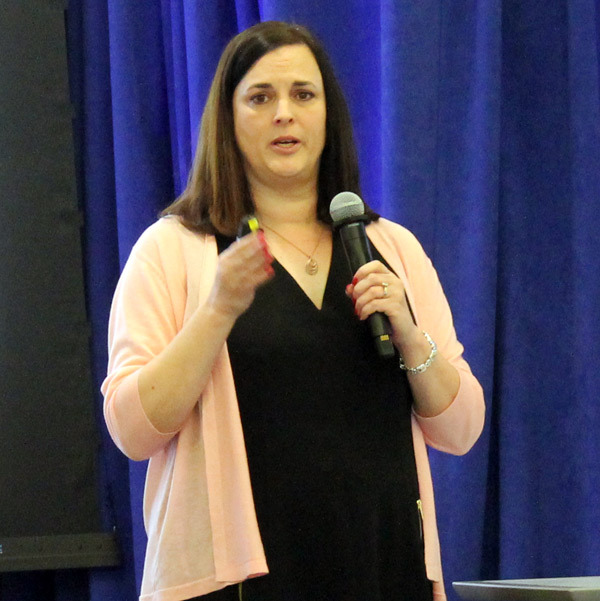 A summary of the issues scheduled to be brought to a vote at the Markets and Reliability and Members committees on Aug. 23, 2018.